New holsters for carrying concealed. 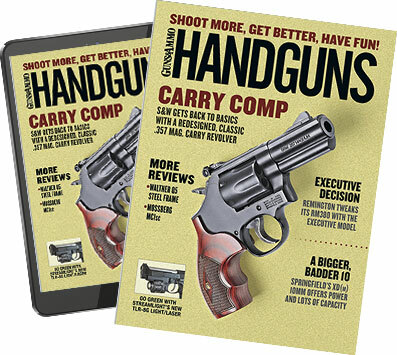 Overland Park, KS — Uncle Mike's Law Enforcement has added three new products that are designed for concealed carry of handguns. Uncle Mike's Fanny Pack has a new design with updated materials for a better look and function. The pack holds the handgun snugly but is easily accessible. In addition to a handgun the Uncle Mike's Fanny Pack will hold other small items. Suggested retail price is $34.95. Uncle Mike's "Day Timer" Holster is a nice looking small day planner that is actually a holster. It looks like any other day planner from the outside, but instead is an excellent way for a gun owner to carry a concealed handgun. The day planner is made of ballistic nylon and sells for a suggested retail price of $16.95. Uncle Mike's PDA Holster looks like a regular cell phone or PDA carry case but it is really an alternative way to carry a small concealed handgun. The case comes with a belt clip and has a soft interior that protects the firearm. The PDA Holster gives the owner instant access to their firearm while keeping it undetected. It sells for a suggested retail price of $9.95. For more information, call consumer inquiries at 800-423-3537.